Exelon this week continued its vigorous push into the microgrid market, this time in Connecticut where it began construction of a fuel cell microgrid. The project is being developed by Exelon’s competitive subsidiary Constellation in partnership with fuel cell manufacturer Bloom Energy and the city of Hartford. The partners are constructing the microgrid in Hartford’s Parkville neighborhood and expect to complete it by third quarter 2016. Maryland-based Constellation is providing engineering, procurement, construction and operation services, while California-based Bloom Energy will provide the fuel cells. The fuel cell project is the latest of several microgrid initiatives by utility giant Exelon, which has emerged as one of the fastest moving utilities in the microgrid space. 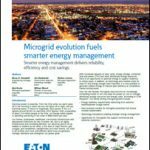 Exelon’s Chicago subsidiary, Commonwealth Edison, has six microgrids in planning, including an innovative ‘cluster’ microgrid. Meanwhile, subsidiary Baltimore Gas & Electric has proposed a series of public purpose microgrids across central Maryland. And in Pennsylvania, subsidiary PECO Energy has won regulatory approval for a $50-$100 million microgrid pilot. Hartford will be able to secure power from the fuel cells at or below current market prices under a 15-year power purchase agreement. The developers were able to attain favorable economics through a combination of means, according to a Constellation spokeswoman, including $2.06 million that Hartford won in 2013 from Connecticut’s microgrid grant program. In all, Connecticut has awarded $23 million for 11 microgrid projects, and is in the process of allotting an additional $30 million. In addition to the state grant, the project is receiving revenue from Connecticut’s LREC (Low-Emission Renewable Energy Credits) program. Further the fuel cell microgrid was able to take advantage of efficiencies Bloom Energy achieved in manufacturing and O&M, along with economies of scale gained through a larger Constellation/Bloom partnership. The two companies last year announced plans to develop 40 MW of fuel cell projects for commercial and institutional customers in California, Connecticut, New Jersey and New York. Under the agreement, Constellation provides equity financing and owns a majority equity interest in Bloom Energy Servers at more than 170 locations. In addition to Hartford, the partnership is serving AT&T and Walmart, among others. Constellation brings to the partnership an ability to offer customers additional services too, such as energy efficiency improvements, natural gas and electricity supply, solar and other forms of distributed energy. “As a competitive energy supplier and a strong advocate of customer choice and innovation, Constellation aims to provide flexibility and support for our customers who require distributed generation and other dedicated energy technologies as part of their overall energy strategy,” said Gary Fromer, senior vice president of distributed energy at Constellation. In Hartford, the partnership designed the 800-kW fuel cell microgrid to power the Parkville Elementary School, Dwight Branch Library, Parkville Senior Center and Charter Oak Health Center during normal operations. If a power outage occurs, the system will provide emergency power to these locations in addition to a local gas station and grocery store. Hartford Mayor Luke Bronin said that the city hopes to build upon the Parkville model elsewhere in Hartford. Josh Richman, vice president of global business development & policy at Bloom Energy, said such projects would not be possible without the state support. Connecticut was the first state to launch a large microgrid incentive program, an initiative it had in the works even before the 2012 Superstorm Sandy, the initial impetus for most government microgrid support in the Northeast and Mid-Atlantic. 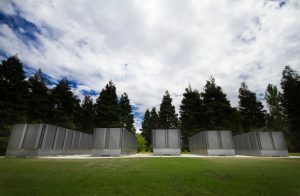 The Connecticut microgrid grants are administered through the state Department of Energy & Environmental Protection, more commonly known as DEEP. In other Connecticut microgrid news, the town of Woodbridge says it plans to break ground in the spring on its community microgrid, which also includes a fuel cell, this one by Connecticut-based FuelCell Energy. Woodbridge received a $3 million microgrid grant from the state. Learn more about fuel cell microgrids at the Microgrid Knowledge conference May 19 in Manhattan. 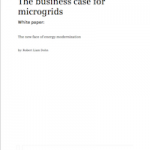 What role could multiple microgrids play in mitigating the existing grid’s disruption from whatever source? This is an interesting project that addresses both reliability and on-site base load. In a fuel-cell based microgrid, a company like Bloom can provide base generation as well as facility specific reliability — essentially designating key facilities as critical where the fuel cell would be the primary source, rather than the grid. Depending on natural gas prices and how much a consumer is willing to pay for reliability, this model may very well work for large energy consumers with a high demand for uninterrupted power.